Paris, December 2th, 2017. Marais neighbourhood, late afternoon. Somewhere at the end of the Rue des Rosiers, I feel a vibration. First a rumour, then louder, and louder, until I feel the beatiof electronic music, something between an african rhythm and some 80’s hip hop. Curious, I approached where the sound seemed to came from. People entered and exited a building, the Hall des Blancs Manteaux. Security at the door, like everywhere in Paris now. I entered. Some characters drew my attention, the way they dress and their attitude. It looked like it had stumbled into a 80’s movie scene. Men dressed up in vinyl, gold chains around their necks. Women with high hair and higher heels. On a second look, they were not women. The music came from the center of a room where a small crowd jostled to watch a show. It was hard to see and I went upstairs to have abetter look on what was going on. It was a mix of a fashion catwalk, dance floor and athletic competition. One by one, some characters dressed extravagantly entered and did their “dance/performance” with undeniable enthusiasm. An MC was giving the artists some incentive. It was only later that I knew what I was watching. It was a Voguing Ball! 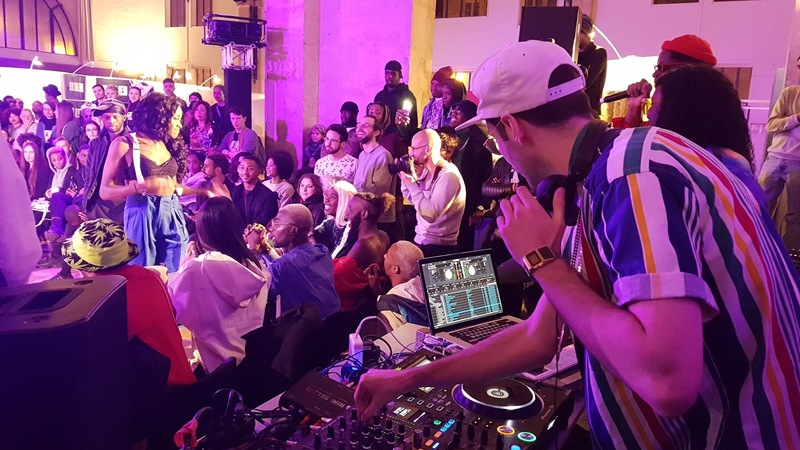 Paris took to the street that weekend, at the beginning of December, with a purpose.vSeveral organizations have joined in the fight against AIDS. 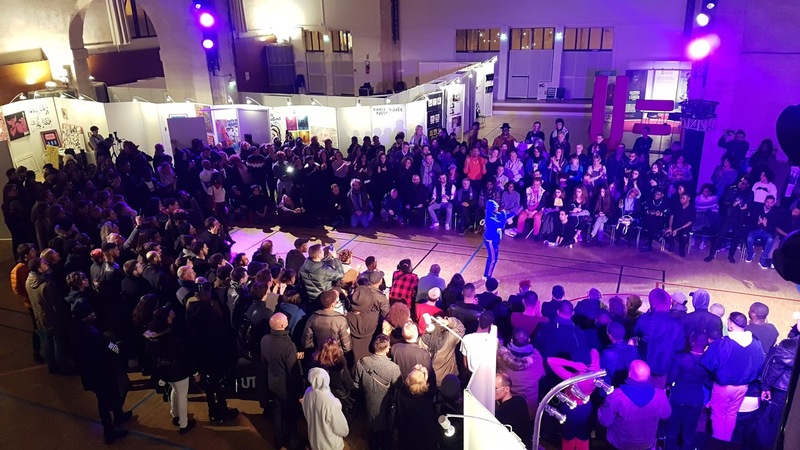 Debates, animation, exhibitions, celebrations and a demonstration were the means chosen to express the need to prevent, stop contamination, improve the quality of life of HIV-positive patients and fight the obstacles to access their rights. This to me represents that Paris is not only glamour and beauty and, like all cities of its size, has some serious issues. One of the initiatives promoted by an association called Act-Up was precisely this ball I had attended. Now I know what “Voguing” is about. 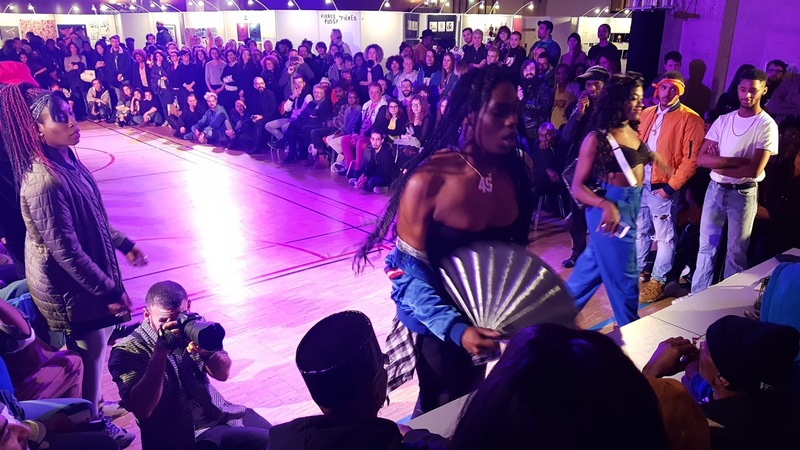 After some reading and watching a movie called “Paris is Burning,” I realized that the movement began in the 1980s in New York. It was born among the gay, latino and black communities. As a reflection of a sense of rejection by society, people met in “balls”, where the shows allowed them a status, albeit brief, of stardom. The “balls” were the feeling, for them, to cross the mirror to a wonderland. It was the possibility of integration into a community of others like them. They could have nowhere to sleep or what to eat, but there, they lived in a fantasy. The fantasy of being famous, as in the Oscars or in a model catwalk. The “balls” were the key to being what they wanted to be: I came, I saw, I conquered. This was a “ball”! 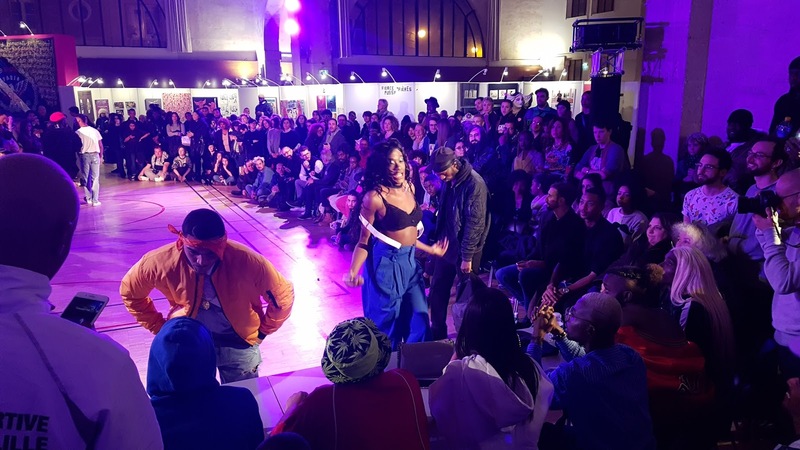 Voguing implied a lot of investment in clothing and accessories and was judged by a jury: the clothes had to correspond to the character interpreted, there was a lot of demands on body posture and “realness” (looking as real as possible). From the “balls” came the “houses”, which welcomed young people who were rejected, marginalized or who fled their homes because of their sexual orientation. The “houses” were run by “mothers”, and belonging to an house was a status sign. The name “Voguing” comes from the magazine “Vogue”, because the movements were inspired by the pose of magazine models. Voguing evolved and is today a modern dance based on typical positions of models with movements seeking to evidence the perfect lines of the body and difficult positions. It became well-known through the song “Vogue” by Madonna, and the choreographies continue to be used in music video clips today. Voguing can be hard for those who do it. In order to buy clothes, some of the participants used prostitution and were thus heavily exposed to AIDS virus contamination, and were also victims of discrimination, violence and homicide. This article was originally posted on Life Details Blog.